It can take several years to build up a good or excellent credit rating and it all goes on behind the scenes without really knowing about it. Because of that, there are very few people who don't have some form of credit. If you have a mobile phone (unless it's a pay-as-you-go), a mail order catalogue account, a car loan, or a mortgage, then you're creditworthy. Whenever you apply for any form of credit, no matter how insignificant it may seem, the majority of lenders and retailers will check you and your details with one or more of the three main UK credit reference agencies: CallCredit, Equifax, and Experian. If you have a good score with no flags on your credit history or any of your current agreements, then getting new credit should be a formality. If one or more of these issues are flagged, like any of the above listed, the likelihood is that you'll get refused. 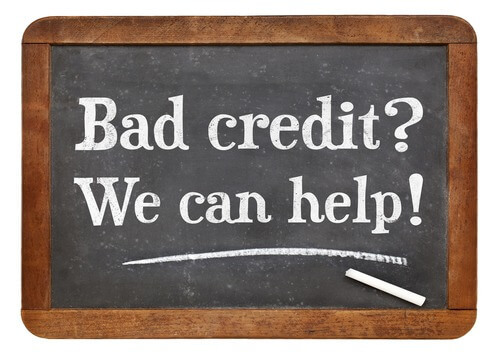 it's worth remembering that none of the credit agencies themselves makes a decision on whether you should or shouldn't get credit - that decision is down to the lender alone. Some lenders may still be willing to give you credit at their discretion. If the default was a reasonably long time ago and your score has been good ever since, the lender might still consider you but are at liberty to alter their terms, which may include a higher interest rate or similar penalty. All this information will be recorded and shown on your credit record, which all credit reference agencies can see. At a time when lenders are being more and more selective about who they lend to, the more they rely on the agencies to make an informed decision. Any of these defaults make it harder, or near impossible, to get any kind of credit, so responsible borrowing and regular and full repayments are vitally important to your ongoing creditworthiness. Unfortunately, many people find themselves in financial difficulties, sometimes through no fault of their own. Getting into a spiral of growing debt only makes things worse and often results in a bad rating with no credit at all, all of which makes it harder to get out of trouble. So if you find yourself being refused credit, what are your options? You can start by taking the long and slow option of gradually building your credit score back up over the years. Regular banking of wages and getting a debit card is a good sign of progress. Also, being accepted for a mobile phone contract will build up your credit rating significantly. It shows you're making regular payments via a direct debit from a permanent bank account. It's all worthwhile, but of course, takes time. But there will be occasions where you need an injection of cash to cover an emergency, or to help with medical, dental or other costs. And those are the times that having no credit can really hit hard. While there are plenty of options around for borrowing, the majority of lenders require formal credit checks which will greatly threaten your chances of being accepted. But there is one lender who requires no formal credit checks, allowing you to borrow within your means and make regular repayments. 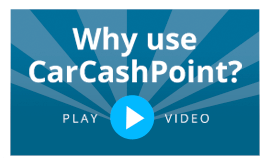 CarCashPoint offers a totally transparent and flexible loan that helps thousands of customers release the cash from their own car. A logbook loan from CarCashPoint means your loan is secured against your car. So as long as you're the legal owner, have no outstanding finance related to it, and can produce your V5 document (or 'logbook') to prove ownership, then you're well on your way to getting the money you need. As well as having no hidden fees or charges, no penalties for settling your loan early, and the ability to make overpayments if you're able to, CarCashPoint also offer you a fair rate of interest, almost half that of other logbook loan lenders. You can even choose your repayment options - weekly, fortnightly, four-weekly or monthly - to suit your own income and financial circumstances. CarCashPoint is the only UK logbook loan provider who does not require any formal credit checks. Your loan application won't appear on your credit record and will, therefore, remain totally private. And what's more, you'll get your loan money on the same day - usually in under 1 hour! If you're experiencing credit problems and are finding it difficult to raise the funds you need, call one of the trusted CarCashPoint experts today on 0333 220 4419 to see how they can help you or apply online.